The revolution in electric vehicles set to upturn industries from energy to infrastructure is also creating winners and losers within the world's biggest commodities markets. When Tesla first passed Ford's market cap, it was a big deal. The bigger news came later, when the electric automaker passed General Motors. Now Tesla's technological revolution in electric cars has paid off again. The company is now larger than BMW, making it the fourth largest car manufacturer in the world (based on market value). What's more, Tesla produced 84,000 sports and utility cars in 2016. By end 2018, it plans to have produced 500,000 for the year, and by 2020 a million cars per year. That's 1,090% production growth between 2016 and 2020! Professional investors Walter Schloss, Irving Kahn and William J. Ruane all used it to make a fortune. I use it in every investment decision I make for over 30,000 subscribers. Today, I’ll show you how to use this exact secret - something that’s made fortunes for other people – to see how much money it could make you. 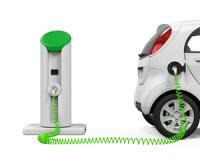 A 2012 study by oil producing companies put electric cars at 1.2% of the global vehicle fleet in 2035. According to Morgan Stanley’s “Global Autos and Shared Mobility” team of analysts, electric cars will take over the world. And according to Bloomberg New Energy Finance around one in three cars in the world will be electric by 2040. Currently there are roughly a million electric cars in the world, compared to 1.2 billion cars in total. That means, for electric cars to reach the one in three mark they will grow from the current million to 400 million. That is 400 times growth! Simply put, the electric car market is at the precipice of truly MASSIVE growth. And it’s those regular profits, (even the small ones), that really add up in the end. But I should say, this has been going like hot cakes recently (especially being half price and with a 30-day risk-free trial). So, if you’re serious about giving this a go…You should secure your discount price today, before they’re all gone. Aluminium components for electric cars is a major opportunity: As cars are required to become lighter for efficiency, more aluminium than steel needs to be used. And thanks to its properties of having a high melting point, high strength levels and low weight, aluminium is a great, safe metal to use in electric cars. My choice investment in this segment is Hulamin (JSE:HLM).In a recent trading statement Hulamin announced it expected profits to grow between 13 and 21% for the first six months of its financial year. That’s around 54c to 58c in earnings per share. On an annualised figure we’re looking at 116cps, putting the company on a PE of 5.58. Hulamin actually has a contract with Tesla to provide the company with a crucial part that holds its electric car batteries in place.